Cinema, the new Vodka, the new Church. 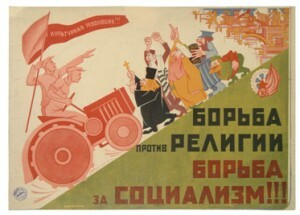 Trotsky’s essay on the role of cinema in the revolution gives a unique look into the philosophical foundations for almost ubiquitous policies in the USSR. Firstly, the analysis by Trotsky of the 8 hour work day interested me, because I’d always though of the 9-5 work day being an institution of the western world, whereas … Continue reading Cinema, the new Vodka, the new Church.